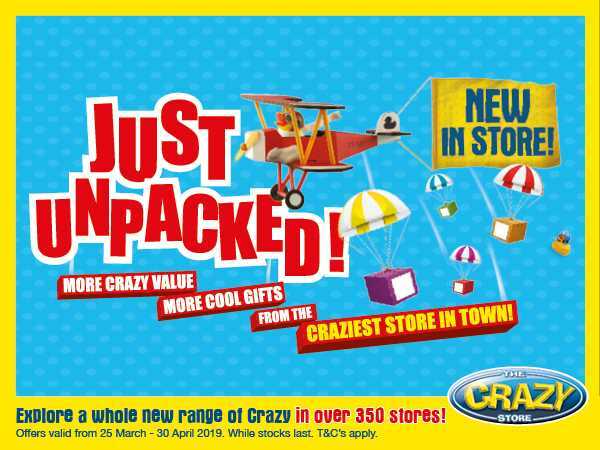 The Crazy Store has just unpacked the coolest gifts! Get more value from the Craziest store in town: https://bit.ly/2HVSjss. *Offers valid until 30 April 2019, while stocks last. Starts Wednesday, 27th March 2019 and ends Tuesday, 30th April 2019. Subscribe to our E-Newsletter and ensure that you are always in touch, and the first to know what's new, current and upcoming at Parkview before anyone else. What's this Mallguide thing? Why is it so NB to me as a tenant? Updating YOUR SHOP profile on Mallguide updates it on this website too. Database SMS-ing and Newsletter Emails.